EDINBURG — Not long after he had come to RGV FC for a trial last season, Nicolas Perea was training near his home in Florida when his arms started to swell up to double their normal size. He had just followed a soccer workout with an upper-body routine focused on pullups, and he said a lack of hydration led to a case of rhabdomyolysis with compartment syndrome. Perea still has about 2-inch scars on his right bicep and forearm where doctors created incisions to relieve the excessive pressure. Rhabdomyolysis results from the death of muscle fibers releasing their contents into the bloodstream, and compartment syndrome impedes the flow of blood to and from the affected tissues, according to WebMD. RGV FC Toros' Nicolas Perea (8) heads the ball against Colorado Springs Switchbacks FC during a United Soccer League game at H-E-B Park on Saturday, July 28, 2018 in Edinburg. RGV FC Toros' Nicolas Perea (8) handels the ball against Colorado Springs Switchbacks FC during a United Soccer League game at H-E-B Park on Saturday, July 28, 2018 in Edinburg. RGV FC Toros' Nicolas Perea (8) handles the ball against Colorado Springs Switchbacks FC during a United Soccer League game at H-E-B Park on Saturday, July 28, 2018 in Edinburg. Perea said he was back training within three weeks, and a short time later he received a call from the Toros to follow up on his trial. Unaware of what he had gone through, RGV FC signed Perea in mid-September. 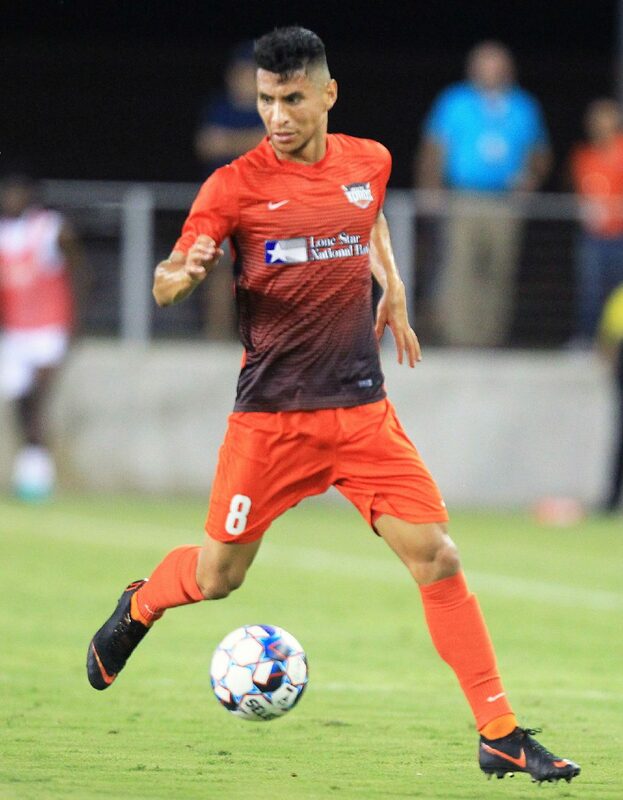 He played only sparingly the rest of the season but has carved out a much bigger role this year, ranking as one of the team’s leaders in minutes played as the Toros prepare to host OKC Energy FC at 7:30 tonight at H-E-B Park. Perea’s play has been noticeable this year, too. He did not appear in RGV FC’s first four matches but has since played in 18 straight, including 17 starts. 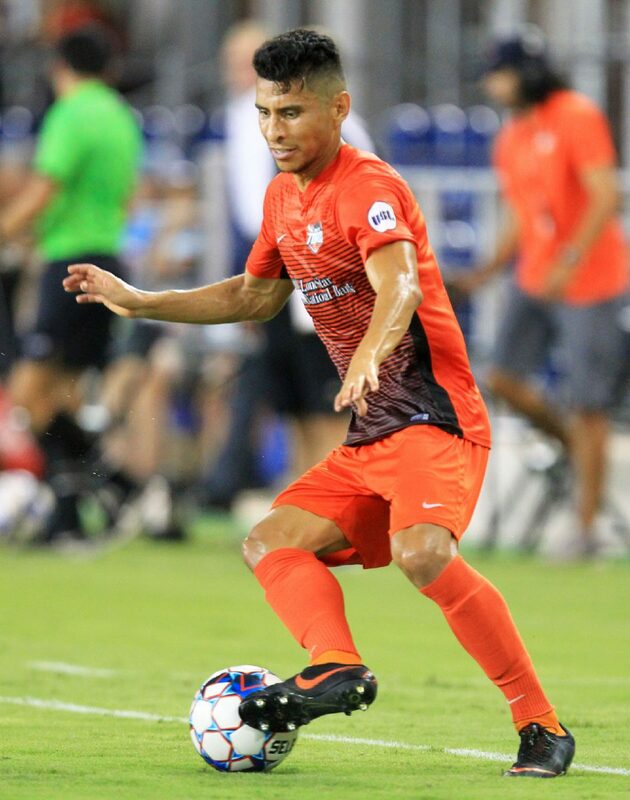 For the season, he ranks third on RGV FC with 1,545 minutes played. RGV FC coach Gerson Echeverry said Perea simply “didn’t have a great preseason” and hadn’t earned a spot on the field in the early going. Then, Perea started making plays in practice, showing strong tactical ability and understanding his role. Perea, age 26, thinks of himself as a two-way midfielder, but Echeverry said that Perea’s strength is on defense, covering a lot of ground and winning the ball away from opponents. 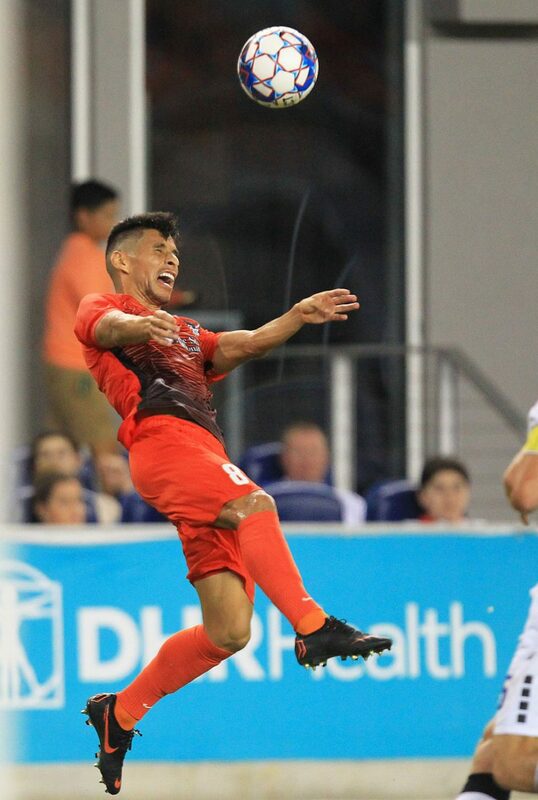 Perea played collegiately at Syracuse from 2011-14, then spent two years with the Jacksonville Armada of the NASL in 2015-16, totaling 1,766 minutes across 24 games. After joining the Toros late last season, he played just 23 minutes across three matches but came away from his end-of-year meeting with the technical staff feeling as though he had proven himself in training. Still, he entered the new season playing less than his best before finding his way.